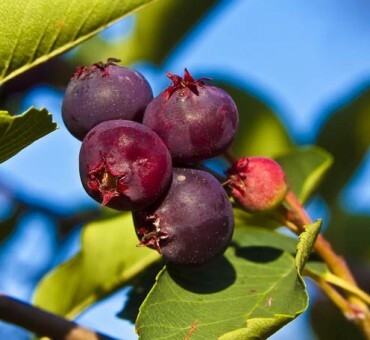 Saskatoon fruits are used for wine, sauces, pies and jam. Fruits are abundantly produced in long clusters. Plants do best in cold, cool climates with low summer humidity. Our Canadian selections are grown from seed from Smokey, Northline and Pembina. 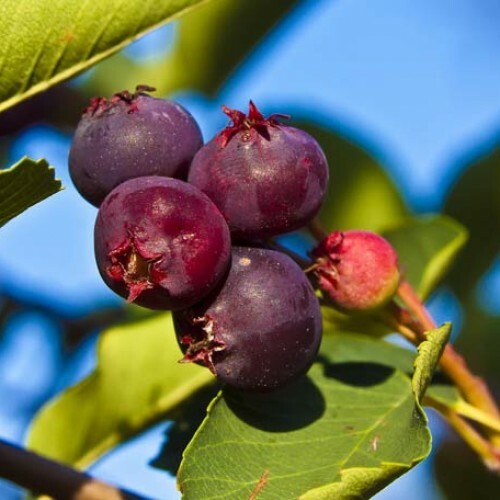 These are great selections known for their fruit quality and yield. Seedlings grown from these selections are identical or very close to their parents. Northline and Pembina have fruited well for us and those are the plants we use for seed usually. Plants fruit in 1-3 years from seedling. One of the hardiest fruits of the north. This species does not fair well in warm humid climates and is best in short season extremely cold locations in Zones 2-5. Grow in full sun for maximum quality of fruit. The flavor and yield of these selections is just fantastic. Self fertile to a large degree. Does best in sandy high mineral soil but adaptable to loamy sands as well. Zones 2-5 is ideal. Not a warm zone plant. 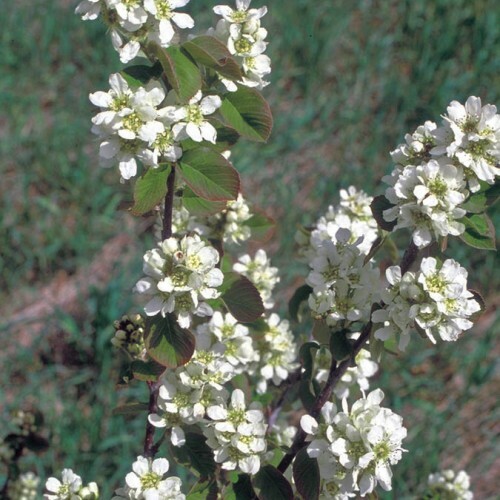 Very easy to grow but a problem with some fungal diseases that often come from apples. Use fungal sprays to prevent scab like Azomite neem spray.